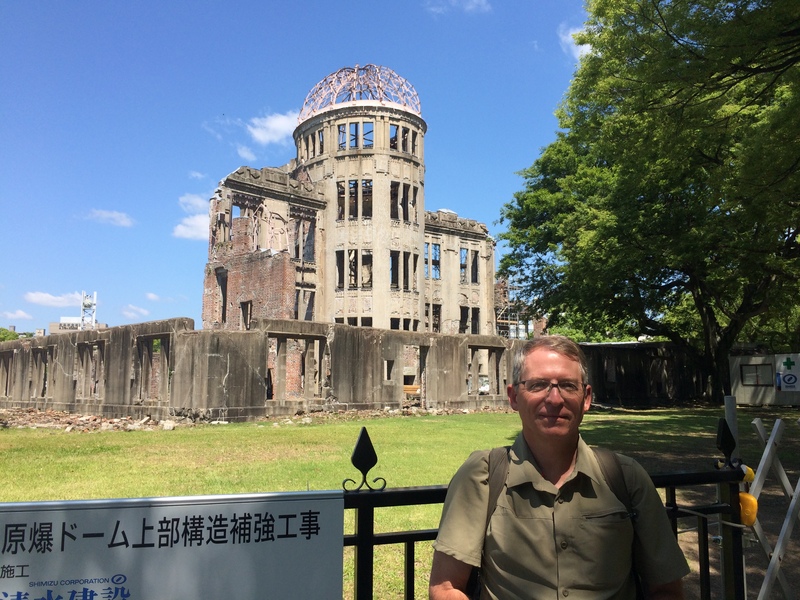 SR Staley standing before the iconic image of the atomic bomb’s aftermath: the A-Bomb Dome. I recently spent some time at the Hiroshima Peace Memorial Park. This is a transformative experience for many people because it’s the first time they connect the horrors of war to their lives in a tangible way. I can’t say I was transformed–I contemplate and reflect on violence a lot in my writing, whether it’s Isabella’s ethical struggles with death and life, Luke’s attempt to combat bullies, or the effects of campus sexual assault–but I found several elements of the peace park sobering and humbling. The atomic bomb truly was horrific in its ability to concentrate power, suffering, and obliterate human existence. While many visitors to the peace park see the A-Bomb Dome as the iconic symbol of the horrors of total war, I didn’t find it a compelling image. It’s a building. The real horrors of war on what it does to human beings and our ability to create, innovate, and improve our lives. The Dome represents the destruction of physical space, and indirectly places. Dystopian YA novels get it right: The horrors of war are really human tragedies. In Hiroshima alone, thousands of children were killed, most instantly, when the bomb blew up. Many of the survivors had to live in a world that is strikingly similar to the post-apocalyptic worlds in which novels such as The Hunger Games, Divergent, and The Fifth Wave are set. In someways, many contemporary dystopian novels are, perhaps, imaginations of a world in which humans failed to show the restraint they did in the aftermath of World War II. 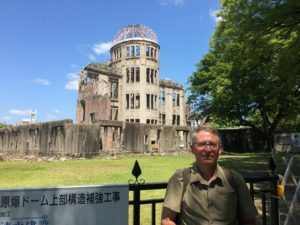 This entry was posted in Teen & YA fiction, writing and storytelling and tagged atomic bomb, dystopian fiction, Hiroshima, hiroshima peace memorial park on June 4, 2016 by SR Staley.